If you have a working fan and it is properly connected with laptop motherboard and by bad luck it’s not spinning as usual. First of all try to update laptop BIOS and if still nothing fixed then come down to CHIP LEVEL treatment of laptop. Now only two thing you can do to make laptop again working. 2.now you try all you best and still have same problem then now a good news for you because we can power up laptop notebook cpu fan Directly without using PWM controller circuit..
just found out the +5v track on motherboard nearby fan supply track ,connect the fan Vcc pin with +5v track using shielded thin wire jumper on motherboard and some time you can make your fan alive as just remove only the sence pin of fan from it’s connector if + five volt is already coming on the power pin of fan. 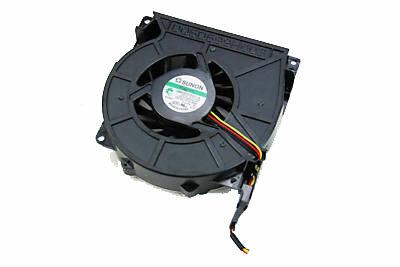 ..now your fan will start working but it will start spinning in a same speed non stop till the laptop is on. but doing this thing please confirm that which supply given to fan directly by jumper that will be generated after you turned on laptop.